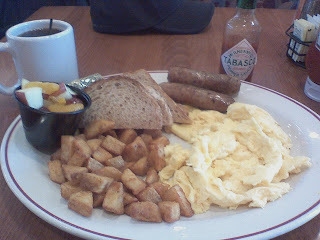 Breakfast at Max & Erma's in Terminal A at Detroit International Airport! It was a very filling brekfast. Great service too.